I have recently bought a 2003 1.9D Berlingo. It's great! It's done 140,000 miles but has good service history up to 100,000 miles and seems very well looked after since. Having got home I have opened the timing case to inspect the cam belt. 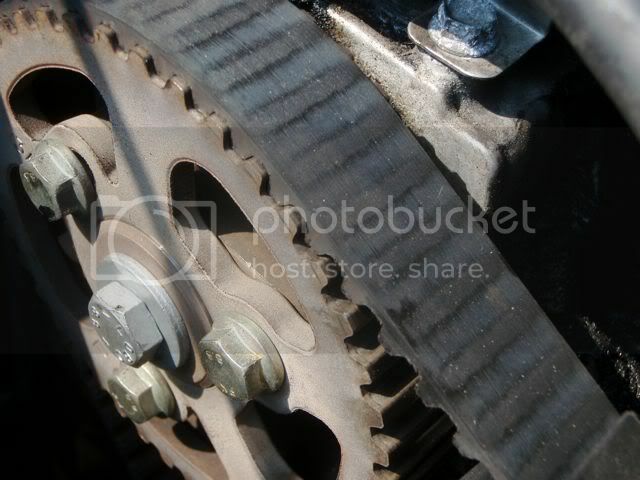 Two options... A 70,000mile old cam belt or a three month old one... What was it to be? I assume the difference between a 70,000mile and a 3month cam would be immediately apparent? There are no tears, rips or anything scary like that. It looks in great condition and seems new to me, so here are some photo's, I'd like to ask your opinions!? 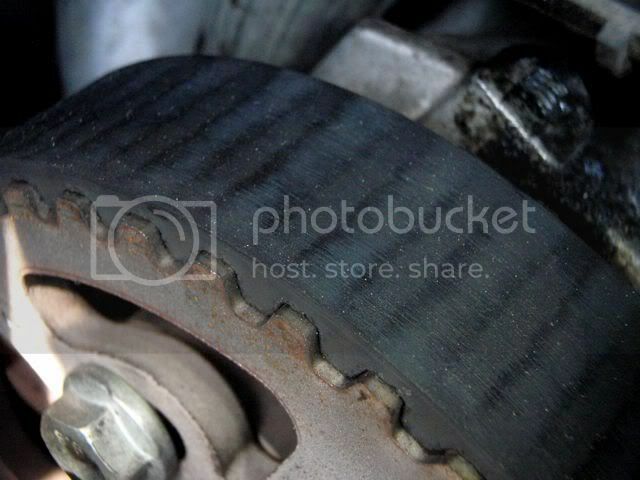 Im not rubber expert but there could be tiny fractures along the belt if it is too old. Obviously, signs of wear will include fraying, thinning and changes in texture along the belt. Wow, there are honest people left in the world! Happy days! I had a good feeling about it. On a side note, when I undid the bottom bolt that holds on the timing belt cover a steady flow of clear liquid just drop by drop (maybe only a few millilitres all in all) came from the casing beyond the cam belt housing (I stress, it did not come from the cam belt housing) It was as if that bolt also held something else together and when I loosened it the gasket was released and allowed a few drops through. It was a clear liquid that felt quite greasy but had no smell... So, just out of interest, any idea what it was? (01-05-2011, 09:16 AM)MattFreeman Wrote: It was as if that bolt also held something else together and when I loosened it the gasket was released and allowed a few drops through. by any chance was it a coloured clear liquid? If anything, yellow... but it was such a small amount that I couldn't be sure. Literally just a steady few drops, continuous until I did the nut back up. (30-04-2011, 01:00 PM)MattFreeman Wrote: The gentleman I bought it from told me on the phone that it's had its second cam belt fitted just three months ago. 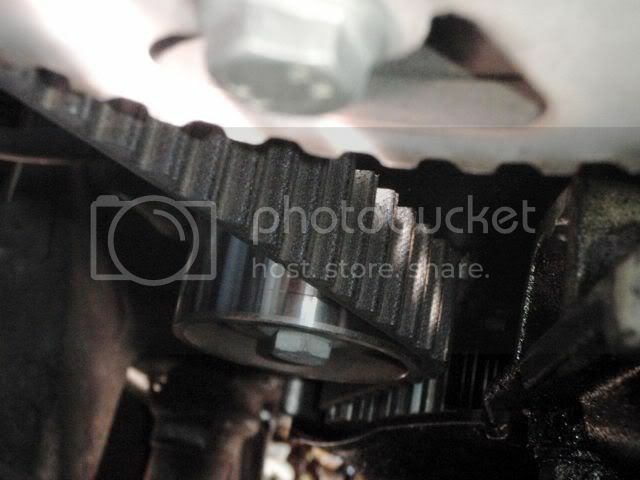 Please, rotate pulley of crankshaft by hand using appropriative wrench or tool. During rotation see on a outer surface of a belt. If you'll not find letters, figures or logos (like Dayco, Gates etc) on a outer surface of belt, age of belt >= 1 year. I had tried to rotate the belt, but only by hand and I gave up. So I started the engine without the cover on and looked for any writing. There was a logo and or text that flashed past at 1,000/min.